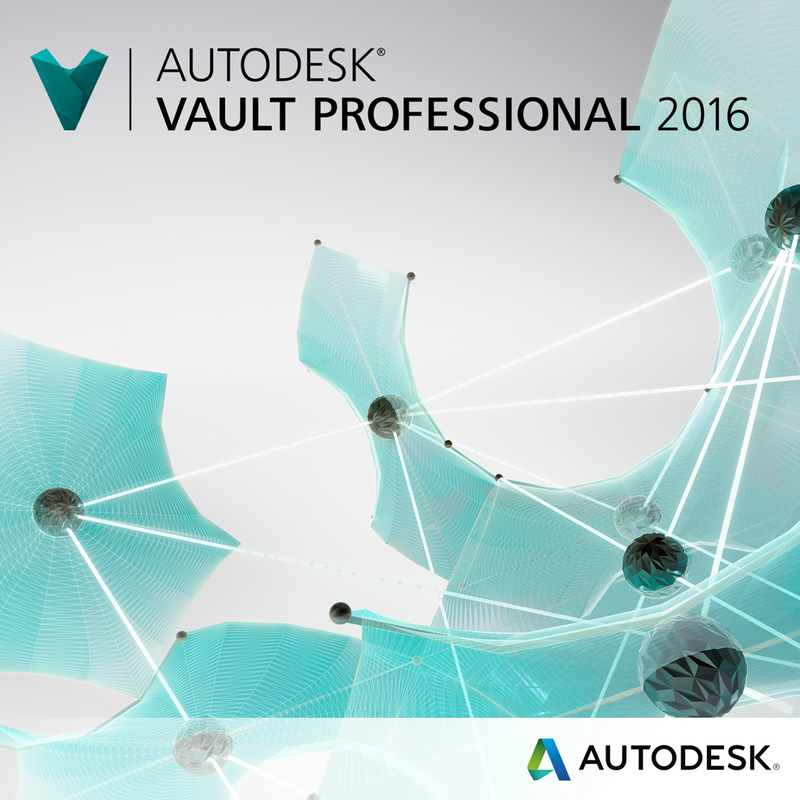 Are you working on a big project with files all over your Vault? Are you tired of constantly searching for the same files for the same project? There is a solution for this. Start using a Project Folder. With the Project Folder you can place links to all of your files and have all of your files for a particular project in one place. First, right click where you want your Project Folder to be. I will be placing mine right in the Designs Folder. Once you right click, click New Folder. 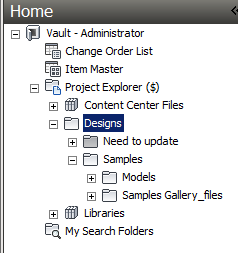 Next on the New Folder dialog box change the category from Folder to Project and then give your new Project Folder a name. I will be calling my new Project Folder, ‘Need to Update’. 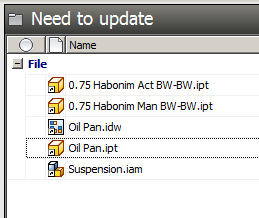 Once you name your Project Folder, click OK.
Now in your folder tree you can see the new Project Folder you created. To add folders into your newly created Project Folder, right click and drag the file from its current location into the Project Folder. Select Create Link. Repeat this process for all the files you are using in your project. If you can search for all of your files you can drag and drop them from your search results. Inside your Project Folder you have a few files, and they have different icons. The little arrow on the icon shows that this a link, not the actual file – that is the shortcut overlay. You will see that on all links for every different type of file. You have all the normal functionality of the files as if they were the actual files inside their native folder. When you open the file, it still opens from its original location, so you will not have multiples of the same files inside your work space. ‘Go To Folder’ will take you to the files native location inside Vault. ‘Go To Working Folder’ will take you to the files native location on your workstations working folder. Once you are finished with your project you can delete the entire Project Folder, this will remove all of the links. This will not affect any of the original files. Right click on the Project, Delete, then click Yes inside the confirm delete dialog box. Next time you’re searching for files, remember to use a Project Folder.